“Women are competing men in the criminal world; they are emulating them in all the crimes; and even surpassing men at times. Therefore, concept of criminal justice is not necessarily synonymous with social justice,” Justice Sikri has said. The Supreme Court on Wednesday observed that the concept of criminal justice is not necessarily synonymous with social justice. Justice AK Sikri also observed that in certain Supreme Court judgments, gender is taken as the relevant circumstance while fixing the quantum of sentence. “I may add that it would depend upon the facts of each case, whether it should be treated as a relevant consideration and no hard and fast rule can be laid down. For example, where a woman has committed a crime being a part of a terrorist group, mercy or compassion may not be shown,” it said. A division bench of Justice Sikri and Justice Ashok Bhushan was considering an appeal filed by the state of Himachal Pradesh against a judgment of Himachal High Court, wherein the court set aside simple imprisonment of two years awarded by the trial court and replace it with a fine of Rs. 30,000 to a woman convicted for offences under Section 328, 307, 392 IPC. According to Justice Sikri, when the Indian Penal Code provides discretion to Indian judges while awarding the sentence, the court will have undoubtedly regard to extenuating and mitigating circumstances. The bench considered the following facts relating to the offences involved and its punishments provided in the Penal Code. (b) Maximum penalty, under normal circumstances, is 10 years, which under certain circumstances can even be life imprisonment (Section 307 IPC) or 14 years (under Section 392 IPC). 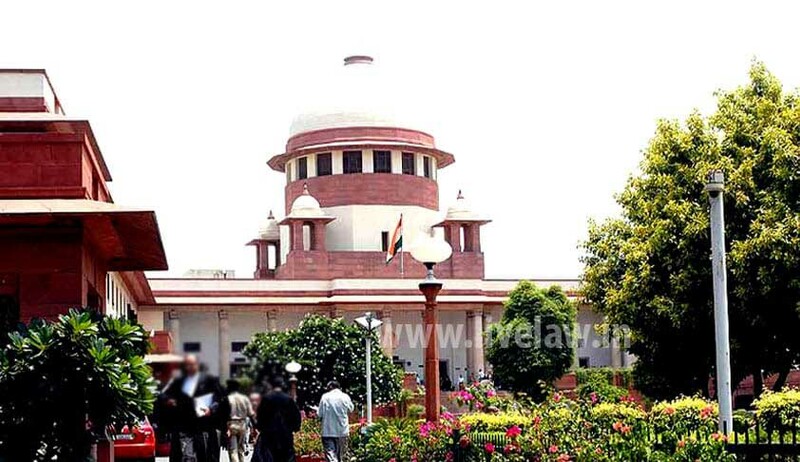 (c) Whereas imprisonment under Sections 307 IPC and 328 IPC can be of either description, namely, ‘simple imprisonment’ or ‘rigorous imprisonment’ and, therefore, it is left to the discretion of the trial court to award any of these depending upon the circumstances of a case, insofar as punishment under Section 392 IPC is concerned, there is no such discretion and the imprisonment has to be rigorous in nature. Then the bench considered the question whether the respondent being a lady and having three minor children will be extenuating reasons. Justice Sikri observed that in many countries of the world, gender is not a mitigating factor. Some jurists also stressed that in this world of gender equality, women should be treated at par with men even as regards equal offences committed by them. He also observed that women are competing men in the criminal world; they were emulating them in all the crimes; and even surpassing men at times. Therefore, the concept of criminal justice is not necessarily synonymous with social justice. “Eugene Mc Laughlin shows a middle path. She finds that predominant thinking is that ‘paper justice’ would demand giving similar penalty for similar offences. However, when it comes to doing ‘real justice’, element of taking the consequences of a penalty cannot be ignored. Here, while doing ‘real justice’ consequences of awarding punishment to a female offender are to be seen. According to her, ‘real justice’ would consider the likelihood that a child might suffer more from a mother’s imprisonment than that of his father’s,” he said. In this case, two mitigating circumstances, which are pressed into service by the respondent, were that she is a woman and she is having three minor children. The bench said this has to be balanced with the nature of crime which the respondent has committed. “As can be seen, these circumstances were taken into consideration by the trial court and on that basis, the trial court took a lenient view by awarding imprisonment for two years in respect of each of the offences under Sections 307, 328 and 392 of the IPC, which were to be run concurrently. There was no reason to show any further mercy by the High Court. Further, as found above, removing the element of imprisonment altogether was, in any case, erroneous in law,” it said. In a concurring judgment, Justice Ashok Bhushan observed that the punishment provided in the offences which contains the imprisonment and shall also be liable to fine has to be read to mean that offence being proved under Sections 307, 329 and 392 IPC, the punishment of imprisonment and fine are imperative. He said the punishment provided for Sections 307, 328 and 392 IPC are those which have been provided for serious offences and it cannot be countenance that the offence having been proved the punishment can only be a fine. The Bench has set aside the High Court Judgment and restored the trial court Judgment.